Our latest DevOps Meetup was a great success. 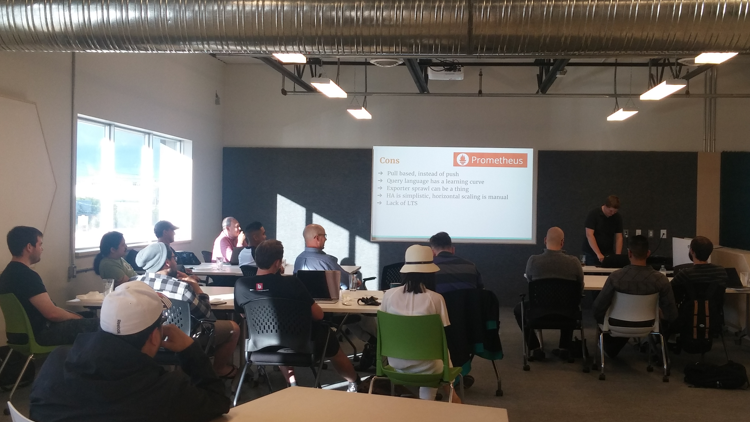 We met for beer and pizza at Launch Coworking Space on July 22nd 2017, and enjoyed a great presentation from one of our members Tanner Bruce at Farmer's Edge, on Application Monitoring with Jaeger and Prometheus, with a bit of Kubernetes. Jaeger was inspired by Dapper and Zipkin. It is a distributed tracing system released by Uber Technologies as an open source. It is used for monitoring microservice-based architectures: Distributed context propagation. Why would you use it: As visual feedback, contextual awareness, generates a high level overview of your architecture, it's relatively simple to implement and many frameworks are already instrumented. Dockers origin lies in France as an internal project within dotCloud. It was officially released as an open source in 2013. It is a software container platform, that provides a layer of abstraction and automation for operating system virtualization on Windows and Linux. Why should you use it: it lets you push software updates quickly and get fixes and new features to customers faster, it is easy to scale, improves the efficiency by quickly deploying, identifying, and resolving issues due to less downtime and it is simple to distribute and share content. Kubernetes started as an internal project at Google based on their system, Borg. It is an open sourced platform implemented to automate deploying, scaling, and operating application containers, and also helps manage your docker containers. Why should you use it: It lets you respond quickly and efficiently to customer demand, it lets you deploy your applications quickly and predictably, it makes it easy to scale your applications on, it limits hardware usage to required resources only and on top of that kubernetes is under very active development, with mayor releases every 3 months and a design process completely open to GitHub. Prometheus was created in 2012 by Soundcloud, open sourced in 2015 and later donated to CNCF (Cloud Native Computing Foundation) in 2016. It was based on Googles internal monitoring system for Borg, called BorgMon. It is a cloud native monitoring system/platform. Why should you use it: it implements a highly dimensional data model, it offers flexible and powerful query languages, it has built in visialisation data (Grafana), it has a strong integration with SD tools and cloud providers, and it is relatively simple to deploy. 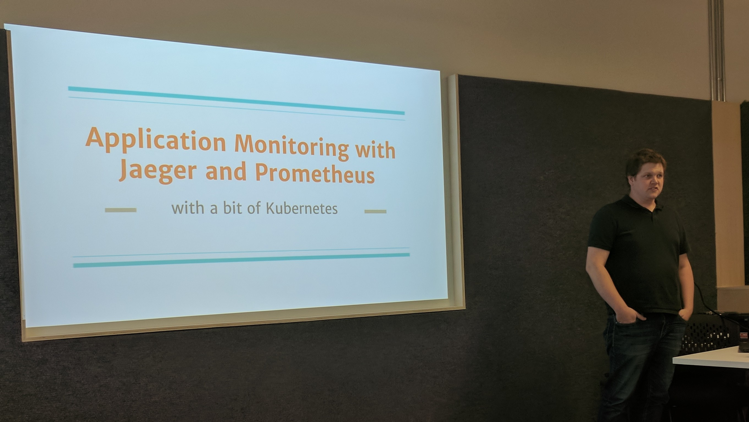 Check out Tanners full presentation and slides on Application Monitoring here. Fig2. 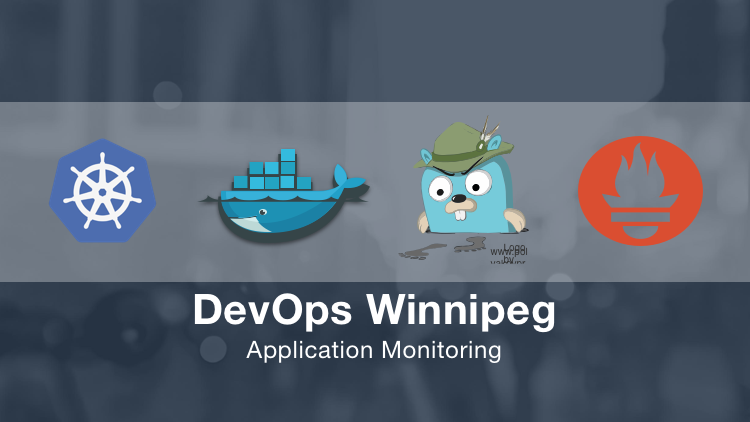 - DevOps Meetup Winnipeg Group on August 22nd, 2017. Join us in September (Date will be announced shortly) for the next DevOps Meetup or Contact us for more information!